There is no better modern example of the power of an economic triumph than the experience of Ukraine and Poland in the post-Cold War era. …Ukraine has largely squandered its economic potential with pervasive corruption, statist cronyism and government control. 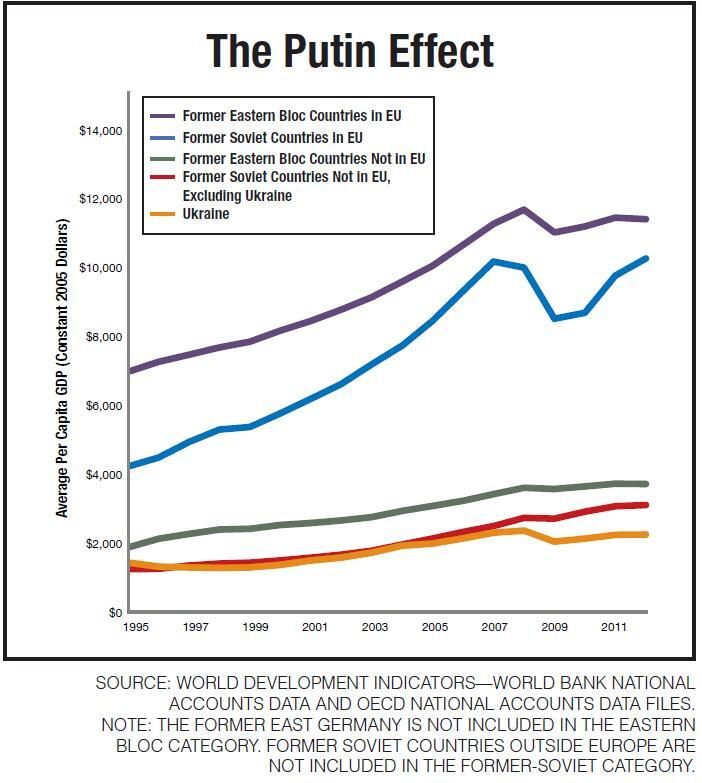 …The per capita income of Ukraine, in U.S. dollar equivalence, has grown to only $3,900 in 2013 from a base of $1,570 in 1990. …Ukraine should be a wealthy country. It has world-class agricultural land, it is rich in hydrocarbons and mineral resources, and it possesses a well-educated labor force. Yet Ukraine remains poor, because while successful Central European nations have replaced their central-planning institutions with market-based reforms, Ukraine has never been able to break the crippling chains of collectivism. Dan Mitchell is an economist and senior fellow at The Cato Institute. Follow him on Twitter. This piece first appeared on his blog.